“Roseanne” came back to ABC Tuesday after over 20 years. In the premiere, Roseanne is a Trump supporter, and her sister is a Hillary supporter. Some people criticised the show for Roseanne’s Trump support, but others applauded it for the way it represents a lot of American families in a time of significant political divide. “Roseanne,” one of America’s most beloved sitcoms, is back after over 20 years. And in its 10th season premiere it gets political in a way no show has since Trump was elected president. 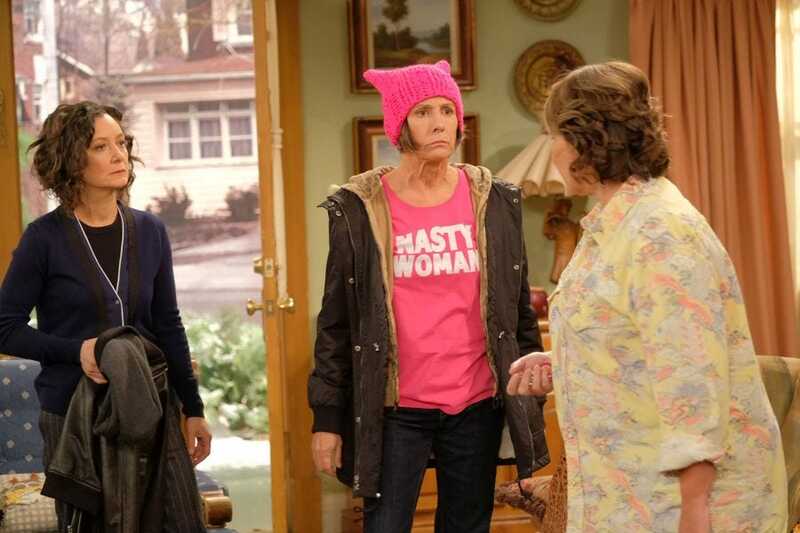 In the show, Roseanne (Roseanne Barr) is a Trump supporter, and hasn’t been on speaking terms with her Hillary-supporting sister Jackie (Oscar nominee Laurie Metcalf) since the election. Things have gotten so bad that Roseanne just pretends Jackie is dead. Throughout the episode, Roseanne’s daughter Darlene (Sarah Gilbert) tries to help her mum and her aunt find some common ground. However, Jackie comes to Roseanne’s house dressed in a bright pink “Nasty Woman” T-shirt and a pink hat from the Women’s March. That doesn’t help matters between them, but by the end of the episode, Roseanne and Jackie find that common ground Darlene wanted. A lot of people who were fans of the original show found the fact that Roseanne is a Trump supporter upsetting. But other people applauded the show for depicting an American not usually shown on TV these days. If this #Roseanne show gets republicans and democrats to speak and be nice to each other, I'm here for it. Network television has taken painstaking care to try to represent all the diverse groups in America EXCEPT for one- a group that #Roseanne remembered: TRUMP SUPPORTERS. I feel show depicted the reality of a family with different political views. i'm thinking #roseanne might be the closest to an honest assessment of 2017-18 you're going to find that isn't in your own house. I won't watch #Roseanne for the same reason I don't watch Woody Allen movies. There are enough good people making art in the world that we don't need to support the bad ones. I'm sad to learn that #Roseanne supports a white supremacist. Disgusting.